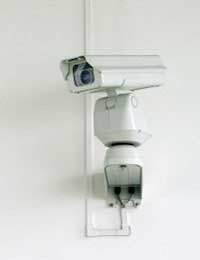 Home > Ask Our Experts > Should My Child's Nursery Be Allowed to Install CCTV? Q.My daughter's nursery has decided to install CCTV cameras throughout the building. Parents were informed that an installation was being considered and were asked for views. However the installation has gone ahead prior to those view being considered. The majority of parents are against the installation. Do we as parents have a right to object to this installation and object to the filming of our children? Also does the nursery have an obligation to give reasonable notice of this installation? Most nurseries provide CCTV (closed-circuit television) to give an additional level of security at exits and entrances, and webcams to allow parents to log on using the Internet and gain peace of mind that their children are being looked after well. This can also provide the parents with a level of contact (even if it is one way only) with their children during the times that the children are at the nursery. If the images of the children at the nursery are being transmitted to parents over the Internet, the key concern would be for the security of the images of the children. A reputable webcam company and nursery should, between them, ensure that the images cannot be accessed by people other than you as parents or caregivers, and the staff at the nursery. This could include encrypting the data, ensuring very secure processes for obtaining access and passwords, and allowing access only on the days when your child attends and the rooms that they access. Another reason for installing CCTV, and a valid one, is that if a child is injured it will be captured on CCTV allowing the parents to see exactly what happened and how. This also protects the nursery as they have evidence of how, where and when the injury took place. Another good reason for having CCTV is that if any child is being bullied it could be viewed on CCTV.If images of children are recorded, then the nursery needs to seek written permission from all parents. It’s not clear whether as parents you have the right to object to the installation or the filming, or whether the nursery should have given reasonable notice. It, would however, seem fair to expect this, as most nurseries would not want to risk alienating the parents. It might be a good idea to ask for a meeting with the manager to ask the nursery’s reasons for wanting to install the CCTV in the first place, and also why the installation went ahead without considering the parents’ views. If the manager does not give an answer that you are happy with, then perhaps speak to the other parents, and if the majority agree with you, see the manager again as a group to get your views across. I'd ask the nursery head teacher directly the reasons why it has installed CCTV in the toilets, why footage is being recorded and who is allowed to view it. It may be that the cameras are placed overlooking washbasins and are not in or near cubicles.